The film hits theaters March 10, 2017. This is not a relaxing island getaway. Kong is in full force in the new trailer for Kong: Skull Island. The film is set in the 1970s and follows an expedition of scientists and soldiers who are sent on an expedition to an newly discovered island in the South Pacific. 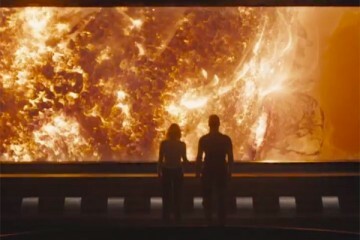 The film is from director Jordan Vogt-Roberts and stars Tom Hiddleston, Brie Larson, John Goodman, Samuel L. Jackson and John C. Reilly — and judging by the new trailer, has a more fun tone than some expected. The new footage follows a first trailer from San Diego Comic-Con, which didn’t hint at some of the comedic elements this new look promises. Reilly’s character cracks jokes and explains that Kong is the type of king to keeps to himself, unless you start trouble. Hiddleston appeared on Wednesday’s Jimmy Kimmel Live! (in a gorilla suit) to present the trailer. What’s striking about the trailer is how much of Kong it shows off. 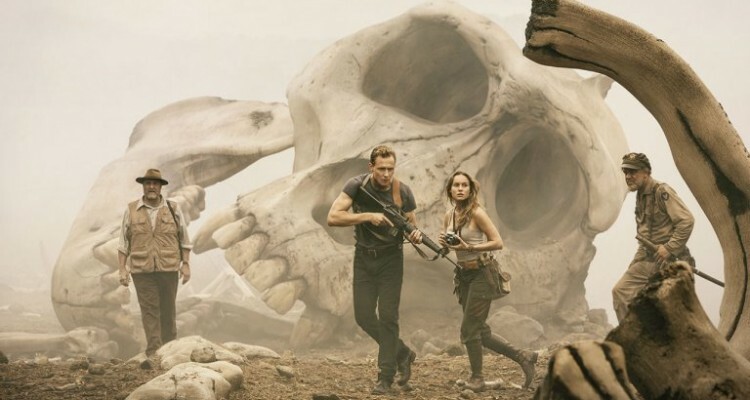 Most monster movie trailers (and often, the movies themselves) really hold back on how much of the monster they reveal until late in the game — but Skull Island hasn’t been afraid to deliver the goods in its marketing.